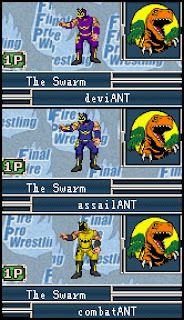 The Gameboy Advance FirePro games don't get a lot of respect, but they were the first FirePro games I ever played and I'm a big fan. 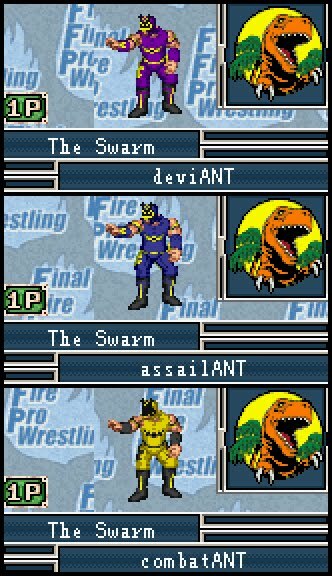 Since TigerMask released his patch/save that translates the 2nd game in the series I've been working on creating a Chikara save file. Check out the results below (click to make them bigger) and download my save file. 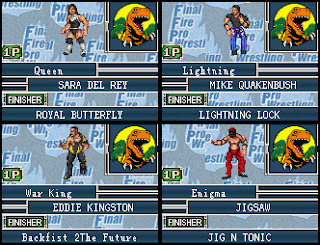 You will need a copy of the Japanese Final Fire Pro Wrestling rom (Google it.) patched with Tigermask's patch along with a GBA emulator of your choice. I have full movesets for everyone but the Gekido/Swarm. 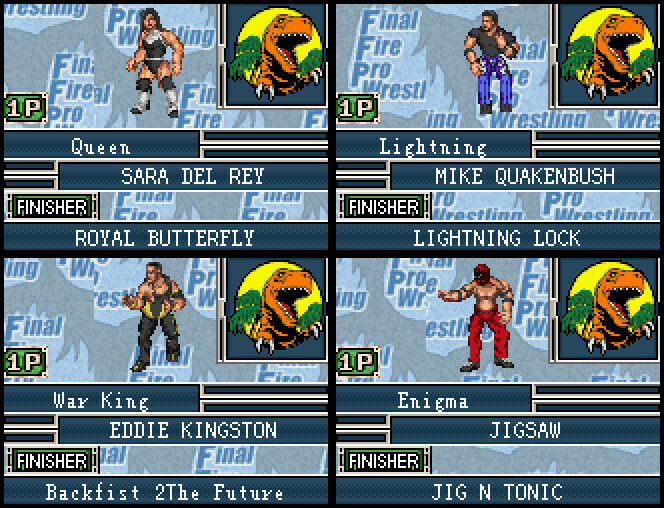 They will be coming soon along with Archibald Peck, Delirious, El Generico, Harlem Bravado, Lancelot Bravado, Matt Jackson, and Nick Jackson. After that I and looking into creating my own patch to create alternate costumes and have a lot more spaces for characters. Detailed patch roster plans/ideas are available here.